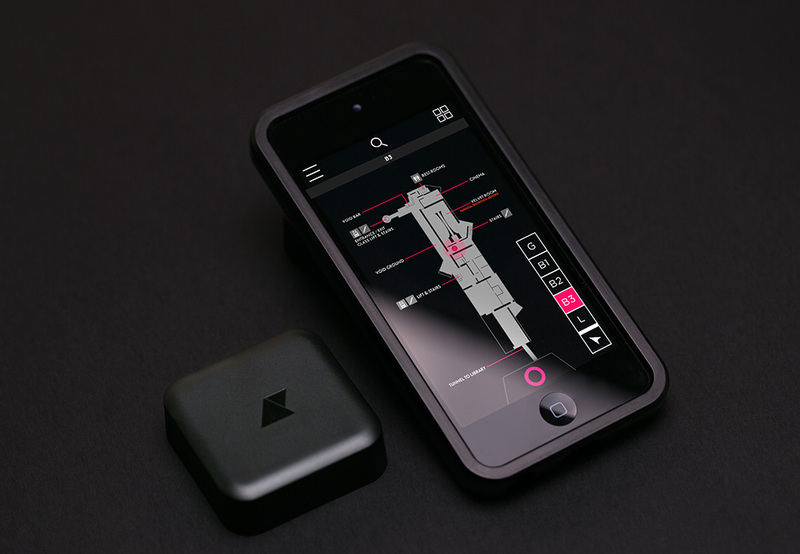 Conceived of in late 2012, Enso Locate was designed by Art Processors initially to provide indoor location on iOS devices using Bluetooth LE (it has since been expanded to include Android). It had its first implementation on Curio the app we launched in March 2013 for the State Library of New South Wales (link). After the solution was proved viable with the release of Curio it was improved to provide a replacement for an existing indoor location system installed at Hobart’s Museum of Old and New Art (MONA) and implemented there in December 2013. It was opened up to a small private beta group in early 2014 and this beta is now being expanded with spots remaining for up to another 30 participants to further test the platform and refine the solution before a public launch currently being targeted for July 2014. The form to request inclusion in the private beta can be found here. 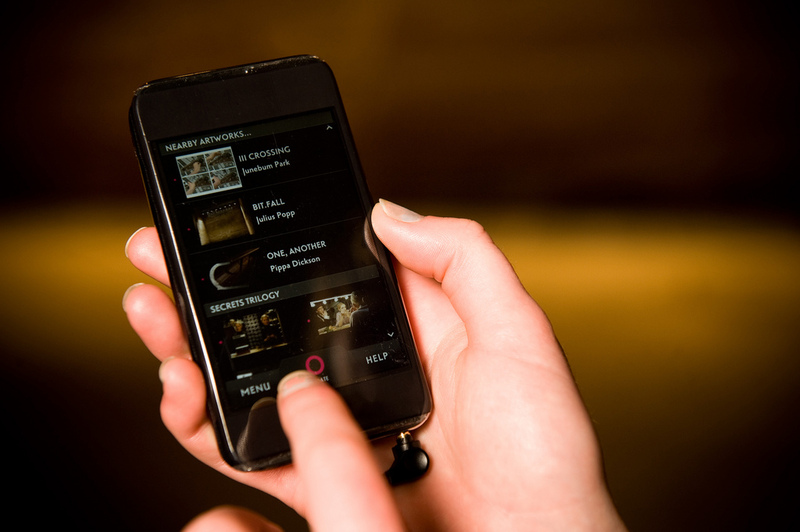 In January 2011, Hobart’s Museum of Old and New Art opened offering visitors a mobile experience known as The O. The O used an iPod touch paired with an indoor location tracking tag to deliver location relative contextual information to visitors as they travelled throughout the gallery. When visitors were inspired by a work and wanted to know more about it they tapped a button to update their location and the work appeared on screen allowing them to read, listen, view content and provide their thoughts on the works via love and hate buttons. The O was a huge hit with visitors (over 97% of visitors to MONA use it) and Art Processors was formed to commercialise the technology and offer the solution to other institutions, you can read more about The O via a more recent article here or one from when it first came out here. In April 2012 Art Processors started a partnership with State Library of New South Wales to deliver a new app available to the public on their own smartphones. Effectively we were going to port The O from a bespoke tailored solution for MONA to a configurable solutions running on iOS and Android, managed from a remote CMS. At that time we were confident on being able to offer everything we had promised except the iOS indoor location needed for easy contextual content filtering. Conveniently in June 2012 at WWDC Apple announced the inclusion of the Core Bluetooth Framework into iOS 6. As everyone knows now Core Bluetooth was going to give iOS devices equipped with Bluetooth LE (at the time the iPhone 4S was the only device, obviously more were on their way) easy access to the bluetooth stack. Core Bluetooth was able to provide everything that the WiFi based systems of indoor location require but had previously not been available on iOS (primarily signal strength). We started to do some tests using iOS devices acting as beacons and were able to put enough faith into Bluetooth LE that it would be a viable solution to our indoor location problem on iOS. We now had a new problem to solve, no one was making Bluetooth LE beacons. We had two options for obtaining beacons. We could either wait for someone else to build them, which from the looks of kickstarter was starting to happen at the time, or we could build our own. In typical Art Processors fashion we decided to build our own. We chose the easiest option at the time which was to build our beacons based on the Bluegiga chipset, this meant we could minimise the parts needed on our boards and speed up delivery of the finished beacon, for the numbers of beacons we were talking about this was probably going to be cheaper and quicker than using something like the Nordic Semiconductor chips, and we had a deadline to hit. In April 2013 we launched Curio for the State Library of New South Wales. An extension to the work we had done for MONA, Curio was available on iOS and Android through both app stores and the iOS version used Bluetooth LE beacons and Core Bluetooth to provide an indoor location for iOS devices from the 4S up. The earliest solution was pretty rudimentary and simply worked off proximity, it would take the strongest beacon signal strength it could find and place you in that location. Beacons were set up through the CMS, very little on site calibration was required and the gallery walls could be moved without having a large impact on device location. The only one of the initial goals we hadn’t met was providing an accuracy of +- 3 metres (yet!). Following on from this initial trial, we went into a larger production of our beacons and prepared for implementation at MONA to replace the legacy system. The only hurdle we had left to overcome was achieving an accuracy that outperformed said system. As you can see from the graphs below, our existing solution provided an accuracy of around 5 metres on average. We spent some time working on our algorithms to predict location using RSSI and got the accuracy down to ~3 metres (again, see graph) which was enough for us to proceed with the rollout. The rollout itself was the easiest we’ve ever done for an indoor location system. Across MONA’s roughly 8000 square metres (~86,000 square feet) we installed 172 beacons in under a day and positioned them in the CMS in under an hour. Enso Locate was written so it could be dropped directly into The O so getting that up and running was pretty much instant once everything was installed onsite. Next we spent a day walking throughout the gallery making sure that everything worked to the specifications we required. We had a version of The O running and used it as a visitor would and simultaneously had our bluedot app showing our estimated location on a MONA floorplan. We made a few tweaks to account for some of the trickier MONA locations, added an ability to snap to certain beacons if they were the strongest signal, and another tweak to allow for beacons to be ignored if above or below certain thresholds where they would skew the underlying location prediction algorithm. Installation and testing was all done in November and December 2013. The first public use of The O using Enso Locate happened in January 2014 and since then it has been used by over 20,000 visitors. The location updating is vastly superior to what we had been using. 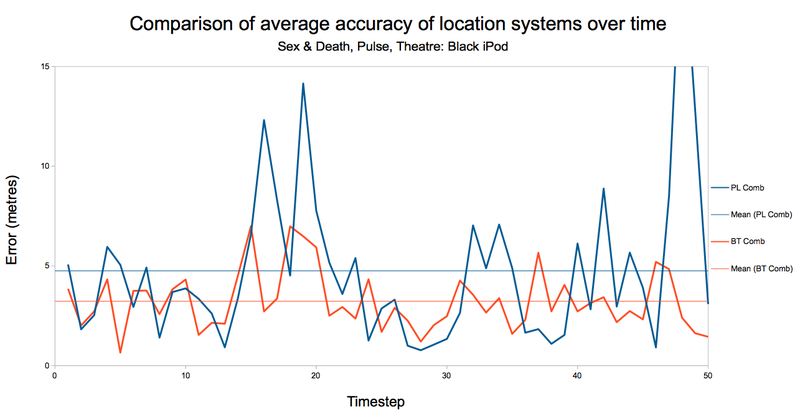 The accuracy is better, the time it takes to provide a location is much quicker (almost instantaneous now) and the maintenance on the system is a lot less. We monitor battery life in the beacons themselves to know when they need replacing, we’re expecting at least 18 months out of these batteries (we’ve done a lot of work to make sure we can get high level of accuracy and have a decent battery life in the beacons) but it should be much greater if the calculations are to be believed, time will tell. So, after all this, what’s happening with Enso Locate? Firstly we’re extending the private beta programme. Enso Locate was built to meet our requirements, which we admit are pretty specific. We want to know if it helps anyone else out. We started partnering with some local developers here in Australia and had our first app launched by one of them in March (Eye See Art by Jake MacMullin for the National Gallery of Australia in Canberra, read Jake’s blogpost about the experience here). We’re looking for up to another 30 participants in the private beta, you can sign up below. If you’re accepted into the beta there is a $495 fee which provides you with 10 of our beacons and will eventually become our starter pack, access to the Enso Locate spatial management site, iOS and Android SDKs and a demo app to provide the bluedot for you. You can find more details about it on our main site http://ensolocate.com. Secondly we’re extending Enso Locate with regular updates as we move more functionality into it, we see it as providing a bridge between our entire Enso platform and existing platforms that don’t easily support indoor location. The purpose of the beta is really to work out what features other developers require and how we can best go about improving the solution before opening it up to the public in a few months time. We would love to hear your feedback so please get in touch, sign up for the beta, or leave a comment below. We’ll also be at AAM in Seattle from May 18 – 21 and WWDC in San Francisco from June 2 – 6 so get in touch if you would like a demo. This entry was posted in Bluetooth LE, Indoor Positioning on May 15, 2014 by Scott Brewer.